Yesterday we focused on God’s grace in bringing an Iranian Muslim to saving faith in Jesus. The power of Jesus Christ is also alive in the life of an Arab Israeli determined to spread truth. His name is Yoseph Haddad, and he needs our prayers this week! There are movements across American college campuses and elsewhere to promote anti-Israel sentiment and antisemitism. The BDS (Boycott, Divest, Sanction) Movement is most prominent, as attempts are made to isolate Israel. However, movements such as Breaking the Silence are spreading blatant lies about Israel in general, and specifically the IDF, and they are converging on Harvard University this coming week. In the midst of it all, an Arab Israeli Christian is setting the record straight! 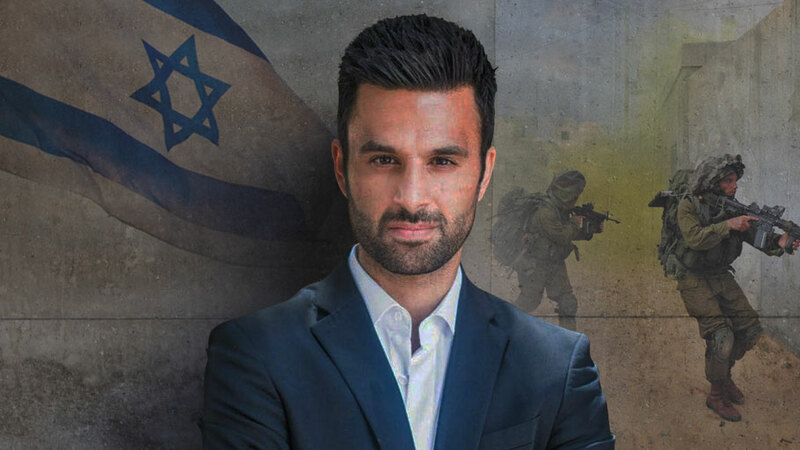 An IDF veteran who fought in the Second Intifada and the Second Lebanon War, sustaining life-threatening injuries, Yoseph is breaking his silence! He, too, will speak at Harvard this week. Read Breaking My Silence: An Arab Christian Speaks Out. (You can also see an interview with him on Israeli TV here.) More importantly, please pray for Yoseph Haddad as he speaks truth on one of America’s most prestigious universities this week. Ask the Lord to fill the venue, and for Yoseph’s message to go out clear and strong. May this man bring glory to God as he speaks the truth in a very secular setting. I’m praying….will you join me? Amir’s Bible Bites: Who’s the Captain of Your Ship?